Drivers are expected to obey the rules of the road and behave with reasonable care. Unfortunately, many motorists drive even when they know that there is something preventing them from being safe behind the wheel. Some motorists choose to operate their vehicles despite serious mechanical problems with the car while others have a physical or mental impairment and decide to drive anyway. If a driver operates his vehicle when it is unsafe, he can be considered negligent and held responsible for any accidents he causes. 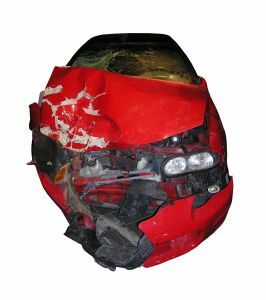 A personal injury lawyer can represent victims of motor vehicle collisions caused by negligent drivers. A recent survey of 2,000 drivers, of these motorists, 46 percent admitted to driving at least once or twice despite knowing that it was not a good idea to get behind the wheel. Eleven percent admitted they'd driven when it wasn't necessarily safe somewhere between three and ten times and three percent said they had gotten behind the wheel despite safety concerns more than 10 separate times. 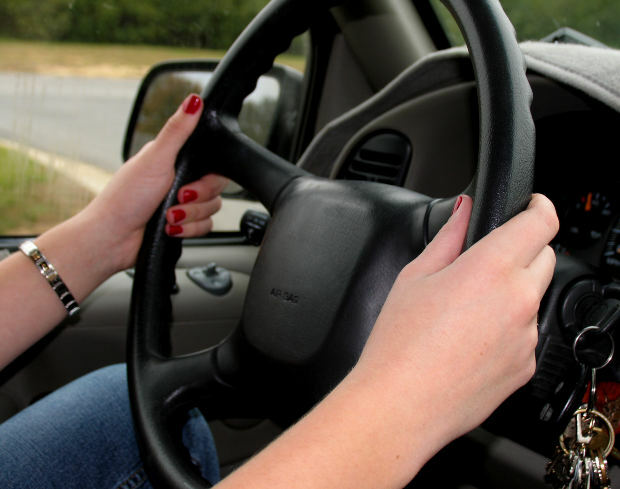 Drowsy driving, which was the problem faced by 68 percent of drivers. Having a headache, which was the problem faced by 53 percent of drivers. Being sick enough that they should stay in bed, which was the problem of 35 percent of drivers. Consuming alcohol, which was the problem of 23 percent of motorists who said they drove because they were not as drunk as a friend. Driving without glasses or contacts, which was the problem of 16 percent of drivers who said they needed vision correction. Having their arm in a cast, which was the problem of eight percent of respondents. 61 percent drove with a check engine light on. 32 percent drove when their windshield was blocked by snow and ice. 26 percent drove with windshield wipers that were not working. 21 percent drove with a broken speedometer. 19 percent drove with a horn that did not work. 18 percent drove with headlights that did not work. 17 percent drove with a flat tire. 10 percent drove despite having a door that had to be held closed. Seven percent drove with a child and no required child seat. Six percent drove despite their car being filled with exhaust fumes. Five percent drove without a driver's seat or with a seat that was broken. These motorists endanger themselves and others. Most said that they drove despite the risks because they had to go home; get to work; pick up their kids or go to a doctor. The bottom line, however, is that there is no excuse for driving when faced with safety concerns. Call the Law Offices of Gary Martin Hays & Associates, P.C. at 1-800-898-HAYS to schedule a free consultation. Driving with your pet in the car may seem harmless, but the reality is that you put yourself, your animal and other motorists at risk. If you have your pet in the vehicle with you, your dog needs to be restrained for his own safety as well as to avoid increasing the risk of a dangerous accident. Pets can turn into projectiles if a collision occurs, and pets can also be a major distraction and increase the risk of an accident happening. If you are involved in a collision with someone who was distracted by a pet in the car, you should consult with a personal injury lawyer for information about making a car accident claim. AAA Pet Spot provides some important information about driving with a pet in the car. According to a survey of pet owners, 65 percent of pet owners who took their dog in their vehicle had engaged in at least one distracting behavior while their pet was in the car, although only 29 percent admitted they were distracted by the animal. Distracting behaviors included petting their dog while driving, which 52 percent of respondents said they did. A total of 17 percent of drivers said they let their pet sit in their lap while operating their vehicle, and 13 percent said that they had given food or treats to their dog as they drove. Finally, four percent of drivers said that they had played with their dog as they were operating their vehicle. When dogs go in the car, many of them are not restrained. 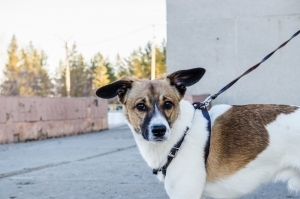 A full 84 percent of survey respondents said that they had taken their dog on a variety of different car trips including running errands and going on leisure trips. Despite this, only 16 percent had any kind of pet restraint system that they used in their vehicle. As Esurance points out, an unrestrained dog could not only be killed in a collision but could also seriously injure or kill others in the car at the time. A 10-pound dog that is not restrained could generate as much as 500 pounds of force if he is in a vehicle that crashes while the car is traveling at 50 miles-per-hour. If the dog weighs 80 pounds, the animal can generate 2,400 pounds of force even in a slow-moving crash where the vehicle is traveling only 30 miles per hour. Drivers with pets need to be aware of these dangers. Keeping their animal restrained can both prevent distractions and ensure that a dog doesn't fly around a car when a crash happens. There are different types of pet restraints that can be used in the car including a pet crate and special pet seat belts. Human seat belts should not be used to try to restrain pets as this can be dangerous and ineffective. Drivers who plan to travel with their pets need to be aware of the risks and should ensure they are taking precautions to keep their animals, and themselves, safe. April is Distracted Driving Awareness Month, and as part of a collaborative effort, the Georgia Trial Lawyers Association, the Georgia Department of Highway Safety and retired NBA player Shaquille O'Neal have teamed up to educate young drivers of the potential dangers. Distracted driving car accident lawyers in Atlanta believe this is an excellent time of year to drive home the point, given that graduation and summer break are right around the corner. The "Ghost Out" program features a series of reenactments, speakers and presentations designed to let teen drivers at Georgia high schools know that every second they are distracted behind the wheel creates the potential for a fatal crash. According to the National Highway Traffic Safety Association, accidents involving distractions account for nearly half of all roadway fatalities, or about 5,000 annually. Distractions can also be blamed on approximately 450,000 injuries each year. Another recent report from the National Safety Council indicates that 1 of every 4 wrecks can be attributed to cell phone use. Interestingly, only a small portion of those are blamed on text messaging, though teens are more prone to texting than other drivers. What is especially scary about this revelation is the fact that most people don't view talking on the phone as being especially dangerous. This kind of faulty thinking is perpetuated by the fact that while all states have some form of text messaging ban, none ban talking on a phone for all drivers. What's more, none forbid hands-free cell phone devices, despite the fact that research has proven they are equally as dangerous as handheld devices. In Georgia, all drivers are forbidden from text messaging, and it's considered a primary offense, meaning officers can pull over a driver solely for violation of this statute. However, only school bus drivers and those drivers under the age of 18 are banned from talking on a phone while driving. Perhaps it's no wonder, then, that the latest NSC research found that 80 percent of drivers believe that hands-free cell phones are safer. This is despite the fact that more than 30 studies in recent years have proven that when it comes to the level of distraction, hands-free devices affect the brain the same way as handheld cell phones. Here's another reality of which many teens may not be aware: Researchers with the University of Utah recently found that drivers who were using their cell phones actually had slower reaction times than those who had a blood-alcohol content of 0.08 percent. While it may take a drunk person hours to sober up, a person on a cell phone can immediately eliminate the risk by simply hanging up. Meanwhile, those who drive drunk are hit with heavy fines and penalties, while those who are caught driving while distracted are treated far more leniently. New drivers especially need to be taught that just because the law hasn't quite caught up with the research doesn't mean that talking or texting on a phone is any safer or better than driving drunk. Traffic crashes are the No. 1 killer of teens in Georgia, claiming some 175 young lives in this state annually and injuring countless other young motorists. Largely, these incidents are preventable. To learn more about initiating a Distracted Driving Family Contract with your teen, visit the the NSC's website here. If you are among the 10 to 15 percent of people who suffer from chronic insomnia, sleeping pills may seem like the answer to your prayers. Unfortunately, these medications may significantly increase the risk of becoming involved in a motor vehicle collision. In fact, one recent study showed that a person who filled a prescription for a sleep aid at a pharmacy had double the risk of a traffic collision within the first week. The risk of a collision caused by sleeping pill use is not uniform among all drivers. People who are on multiple different types of medications and people who are over the age of 80 may be in the greatest danger of being involved in a collision. 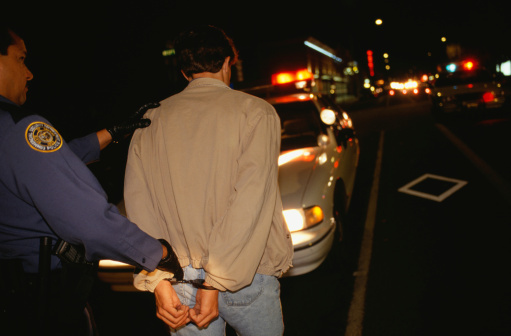 Innocent victims could also be harmed by an accident that is caused by a motorist impaired by sleeping pills. Those harmed in an accident should contact accident attorneys in Atlanta for information about their right to pursue a claim for damages. Are Sleeping Pills Putting Your Life At Risk? Sleeping pill use has increased dramatically. A decade ago, around two percent of the U.S. population took a prescription sleeping pill. Now, 3.5 percent of the population is on some type of sleep aid. This amounts to about six million people who use "z-drugs" including zopliclone, zolpidem, nitrazepam and flunitrazepam. Sleeping pill use is especially common among people who have other physical or mental problems in addition to insomnia. For example, anxiety, depression, bipolar disorder and other types of mental illnesses can also affect sleep patterns and can thus necessitate a prescription for a medical solution. Physical ailments such as arthritis can also result in sleep trouble, especially for seniors. This helps to explain why around five percent of people over the age of 80 are on sleeping pills. Seniors have actually become the heaviest users of sleep medication. This is bad news for road safety for many reasons. First, people who suffer from insomnia along with other physical problems are more likely to be on multiple sedating medications. Second, people over the age of 80 are already at greater risk of motor vehicle collisions due to age-related declines in vision and in cognitive function. The use of sleeping pills exacerbates these problems and makes elderly motorists even less safe at a time when 500 seniors per day are already injured in collisions. The number of people on multiple sedating medications is very high. One recent study showed that 55 percent of people taking sleeping pills were also on other drugs that had a sedating effect, including opioid pain killers or Xanax, Ativan and other benzodiazepines. As many as 10 percent of people were taking three or more sedating drugs. Drivers need to ensure that they do not put themselves at risk of accidents with the drugs that they are taking. Roadwise RX can be used to enter your medications and obtain confidential information about how the drugs you take will impact your ability to safely drive. 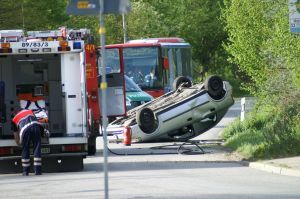 Accident attorneys in Atlanta can help after a car accident. 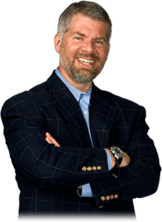 Call Gary Martin Hays at 1-800-898-HAYS to schedule a free consultation. On one Atlanta weekend early in November, four motorists were killed in separate auto accidents that occurred throughout the greater Atlanta metro area. According to the Atlanta Journal Constitution, the crashes occurred in Clayton, Cobb and Fulton counties. One of the deadly crashes occurred at an intersection at 1:30 a.m. on a Sunday in mid-November, resulting in the death of a passenger in one of the vehicles. Another occurred when a garbage truck rolled over while exiting I-75 Southbound. Finally, the last accident occurred on I-85 when a 20-year-old was killed after the driver of the vehicle he was in pulled over because one person in the car was trying to climb out of the vehicle. The young passenger got out and walked into traffic, where he was struck and killed. An experienced car accident lawyer in Atlanta knows that deadly accidents happen far too often in the city. But this series of crashes over one weekend shows just how devastating bad driving decisions can be. It is important for every motorist to learn from these four deadly accidents and to make a commitment to practicing safe behavior as both a driver and a passenger in a vehicle. 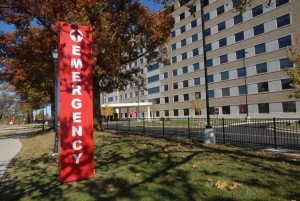 The four deadly accidents involved many different high-risk situations and risky behaviors. Crashes in the middle of the night, for example, often occur because of reduced visibility, because drivers are intoxicated or because drivers speed too quickly around curves and lose control of the vehicle. The cause of the 1:30 a.m. accident is not yet known, but investigators have indicated they will be returning to the scene to identify who is at fault for the death. The Atlanta garbage truck accident caused by the garbage truck rolling over was a crash that likely occurred as a result of intoxicated driving. A bottle of vodka was found at the accident scene and a subsequent article in the Atlanta Journal Constitution indicated that the 56-year-old driver was charged with first-degree homicide for driving under the influence, failure to maintain his lane, and reckless driving. Driving while intoxicated is especially risky for commercial motorists who are in control of large vehicles that are prone to rolling over. This is why the legal limit for commercial drivers is just .04, half of what it is for other motorists. Still, every driver could potentially be injured or killed if he chooses to operate a vehicle when drunk. Finally, the last accident shows the importance of being safe even as a passenger in a car. Doing risky things to distract the driver is likely to result in a crash. Drivers who are stopped at the side of a busy road also need to be extremely careful and avoid getting out of their vehicles if there is a chance they could be hit by oncoming traffic. By taking the lessons from this deadly weekend to heart, hopefully future accidents can be prevented. If you have been hurt in a car accident, contact Gary Martin Hays & Associates at 1-800-898-HAYS. Attorney is not the author of this blog. In late August, Allstate Insurance Company released its ninth annual "Allstate America's Best Drivers Report." The report takes a look at the 200 largest cities in America and ranks them in term of the frequency of auto accidents in order to identify which city has the safest - and the least safe - drivers. Unfortunately, as car accident lawyers in Atlanta know, Atlanta is not an especially safe city for motorists. The most recent list proves this, as Atlanta fell further on the list of cities. 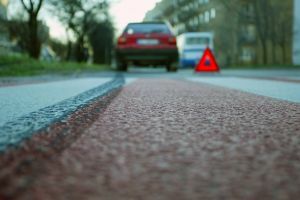 Allstate publishes its report on the best drivers by reviewing Allstate claims data from cities throughout the United States. Because approximately 10 percent of all car insurance policies in the United States are issued through Allstate, this report is believed to be a realistic snapshot of the safety of America's roads in the 200 major cities included in the report. Actuaries with the insurance company have developed an in-depth method of analyzing claim data to determine the likelihood that a driver in each of America's 200 largest cities will become involved in a car accident. The likelihood of a crash is compared to the national average and the cities are compared to each other. 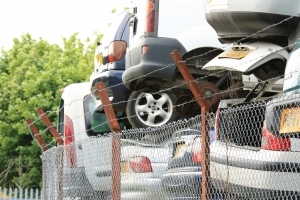 A weighted average of two-years of claims is used to determine the percentage chance of a crash, which is defined as any collision that results in a damage claim. Unfortunately, the data shows bad news for Atlanta residents. In the survey published in 2012, Atlanta was the 161st safest city in the United States out of 200 cities.This year, Atlanta fell to the 164th safest city. The low ranking is based on the fact that drivers in Atlanta typically go an average of 7.7 years between car accidents. This is 30 percent shorter in duration than the national average. It also means that car accidents are much more frequent than in the safest city, Fort Collins Colorado, where the average years between collisions for drivers in the area is 13.9 years. Leaving plenty of time to reach your destination, even with the traffic that you are likely to encounter. Planning ahead and finding out what is going on in the city, such as events that could add to traffic or accidents that could result in a closed road or slow passage. Remaining alert while driving to ensure you can stop or slow down for pedestrians or other obstacles that you encounter as you travel. Reviewing directions to your destination in advance and pulling over if you get lost, rather than getting stressed while driving or looking away from the road at a map or GPS. Hopefully, if Atlanta drivers follow some of these tips, the city can move up in the rankings for next year and be a little safer for motorists on the road.